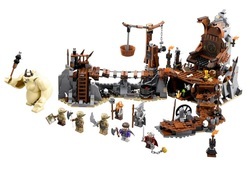 The Lego The Hobbit The Goblin King Battle is one of the more expensive Lego sets. However, if you or someone you know enjoys the Lord of the Rings books or movies, this could be the perfect addition to their fantasy collection. 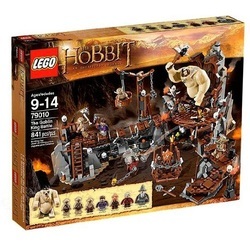 Everyone that bought the Lego The Hobbit The Goblin King Battle commented on the hefty price tag, some saying it was worth it and others suggesting buying an alternative set. The box comes with numerous figures with very good details and designs, a throne, a bridge, secret compartments and dozens of small accessories like weapons, bones and gems. 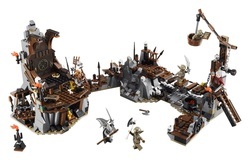 If this is the first Lego set you decide to buy, it is quite complete and detailed, making it a good choice. Although it may not be apt for younger children, people who bought this for ages 10 and up said that their children could easily follow the included instructions. A few people stated that some of the block colors were similar and could be easily confused, but if that happens it is a mistake that is easily fixed. The highest acclaims came from the details on the figures and the scenery. The dwarves were given shorter legs so they will not stand as tall as the classic Lego figures. Each dwarf has two different facial expressions and their hair coloring also helps to make them unique. All the dwarves come with weapons and even the goblins come with special pieces made for each individual figure. There are stickers that will need to be placed on the game set, but it is said that they are made of a more plastic, or vinyl material, instead of being the traditional paper stickers which prevent the details from being rubbed off while being played with for long periods of time. 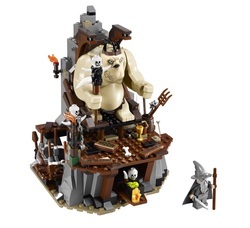 If you are willing to spend the money, the Lego The Hobbit The Goblin King Battle would definitely make a great purchase whether it be for a Lego collector or a child who enjoys the Lord of the Rings.